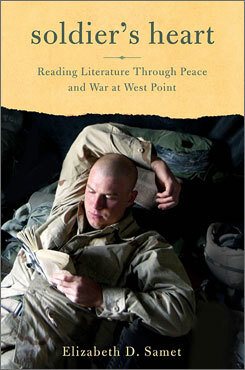 It’s a fascinating insight into West Point. Samet, a civilian professor of English literature wrestles with what to teach plebes. Looking at a sea of students told on the one hand to be open-minded, critical thinkers and on the other to operate as obedient, loyal followers of orders she wonders what readings to select for 18-year-olds who upon graduation will be leading soldiers in battles in Afghanistan and Iraq. The simultaneous insider’s and outsider’s view of the Academy was very interesting and Samet is at her best when she focuses there. Surprisingly, she’s least interesting when she references English literature, her specialty. And while she writes well there were long passages that left me glassy-eyed and bored. Too many long passages. It’s an interesting thesis. Jane Ziegelman, a food historian working at the Tenement Museum traces the food history of five immigrant families that settled on the lower east side of Manhattan: German, German Jewish, Irish, Russian Jewish, and Italian. She suggests that immigrants were aggressive assimilators with one exception. They hung onto the food of their homelands and Americans absorbed their foreign foods, taking on new things like pale ales, frankfurters, hamburgers, bagels, pasta, etc. Unfortunately, the book is short on story and long on fact making it read more like an endless encyclopedia entry than a compelling piece of non-fiction. An English language newspaper based in Rome is staffed by a bunch of losers: men with four ex-wives, women with no self-esteem, Asian over-achievers with failing families, blah, blah, blah. Not only are all the characters sad and becoming more pathetic, but there is less plot than a sit-com. The book is supposed to be funny, at least all the critics thought so, but it is funny only in the same vein as watching a gorgeous bulimic toss up her dinner on a TV show would be funny. 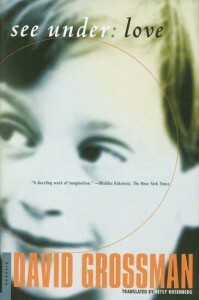 I wish I could have followed the story of Momik, a nine-year-old son of Holocaust survivors trying to make sense of the adults who have come to Israel from “Over There.” The first quarter of the book is the young boy’s stream of consciousness reactions to “the beast” that has tortured his parents and their neighbors. 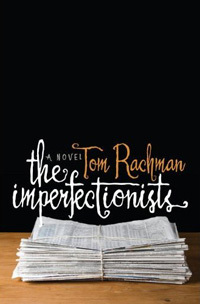 In the second quarter, Momik narrates the life of a Nazi persecuted writer. The third is about Momik’s grandfather and the fourth an encyclopedia. It is an interesting attempt to convert the unimaginable horrors of the Holocaust into words, but the result for me was that while I remained totally intrigued by Grossman’s creation of scenes in 1950s Israel and 1940s “Over There” I couldn’t hang on. There wasn’t really a plot. I couldn’t always tell who was speaking. Some sentences ran for pages. Reluctantly, I gave up without finishing. I turned pages as fast as I could shaking my head in disbelief with each new revelation. North Korea is the last totalitarian comm unist dictatorship in the world. Nothing seems to have deviated from the 1950s Mao-ist playbook: god-like worship of the premier, state controlled propaganda and media, rigorous policing against free enterprise or any information from the outside world, and famine of extraordinary proportions. 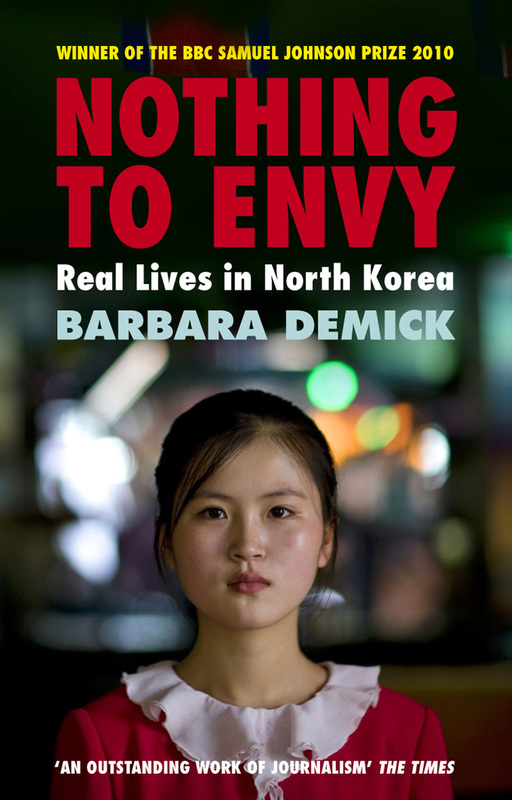 Demick is the Beijing bureau chief of the LA Times and bases much of her story on interviews with defectors who have escaped across frozen rivers into China and then into South Korea. This book won this year’s Samuel Johnson Prize. A journalist who traveled from childhood memories to adult memories from urban NY to Austria’s highest peaks in search of Hans Breuer, Yiddish folk singer and “last wandering shepherd of Austria.” Apple manages to seamlessly tie shepherding and Yiddish into his questions about post-war Austria and contemporary anti-semitism in Europe suspensefully and full with satisfaction. Part of the new generation of young Jewish writers. 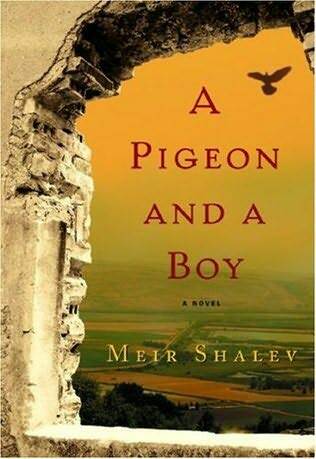 The story of the use of homing pigeons during Israel’s War for Independence, the breed of people that train and keep them, and a moving pair of love stories, one among 1948 pigeon keepers and one contemporary. Underlying the plot is a philosophical analysis of the pull of home. Pigeons return to home and people must find and define theirs. The plot sometimes sinks beneath the author’s poetry. His full literary intent is probably best explained by an literature professor, which I’m not. Won Israel’s Brenner Prize. A revisionist history of the first Arab-Israeli War. In Pelletier Library.